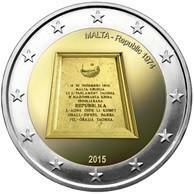 The fifth in a series of five coins commemorating Malta’s Constitutional History. Malta was declared a republic on 13 December 1974, following amendments to the constitution approved by Malta's Parliament. The coin reverse is the common €2 side designed by Luc Luycx. 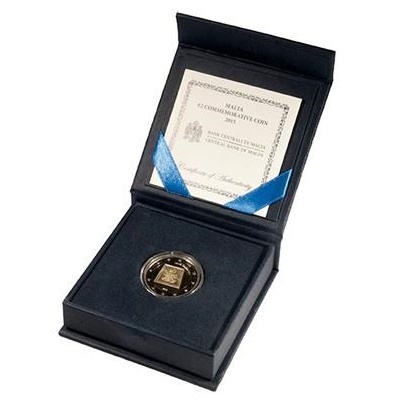 The coin obverse (national side), which was designed by Ganni Bonnici, reproduces a marble tablet affixed to the façade of the Presidential Palace in Valletta to mark Malta's transition from a monarchy to a republic. Presented on a Flip style displaay case, and with a Certificate of Authenticity from the Central Bank of Malta.